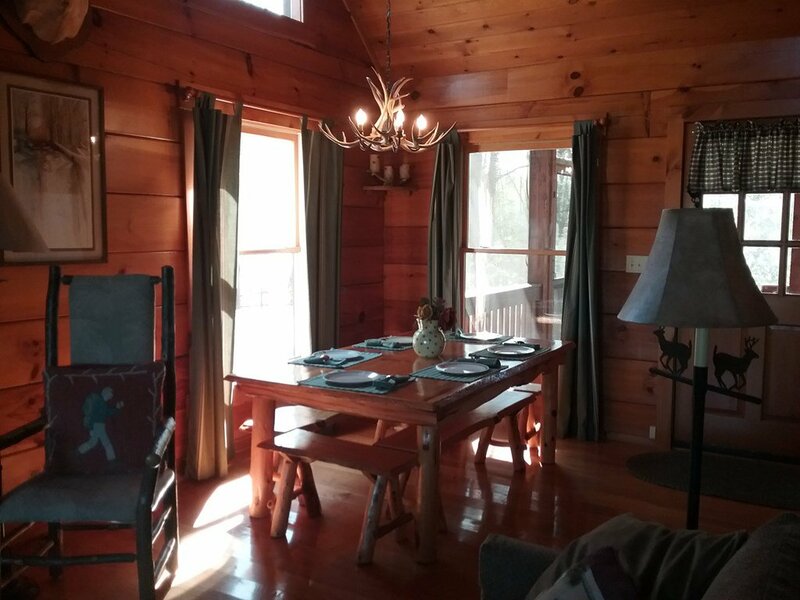 This perfect log cabin sits in a perfect setting! 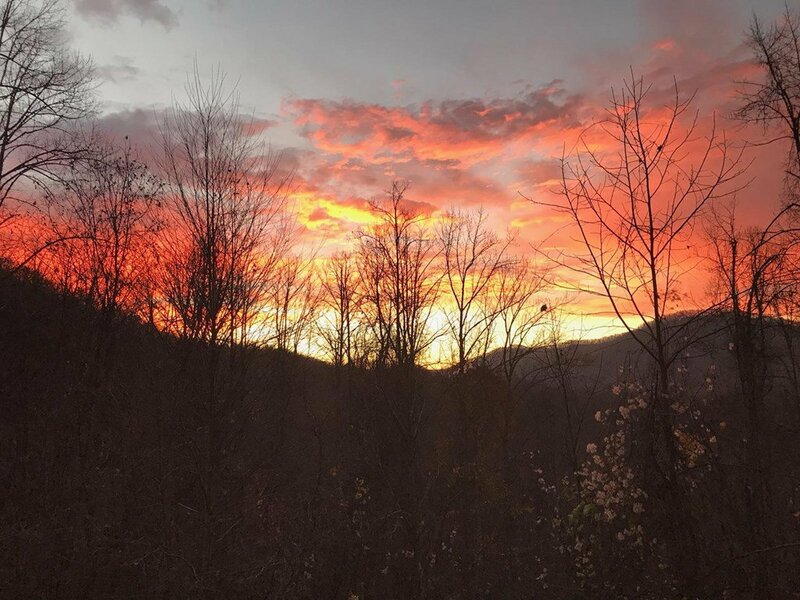 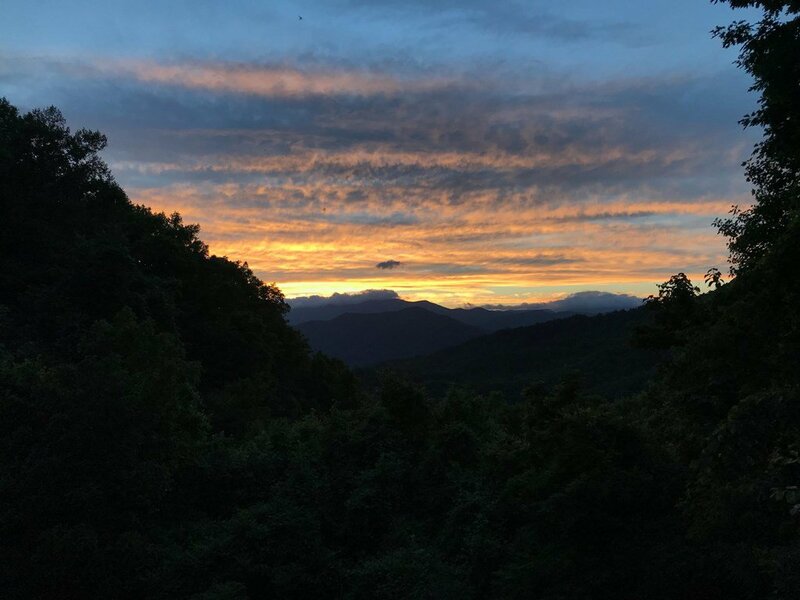 Long rang mountain views facing both east and west will let you enjoy spectacular surises and sunsets and long range mountain views througout the day! 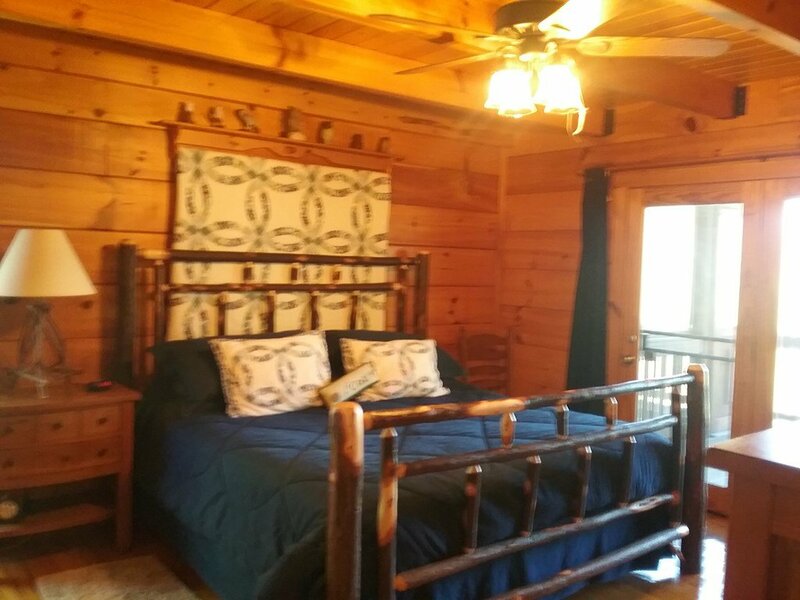 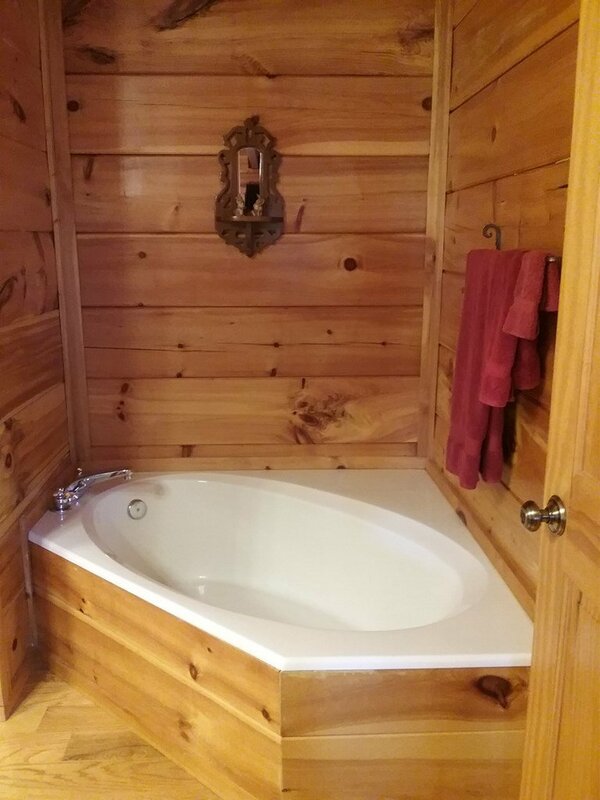 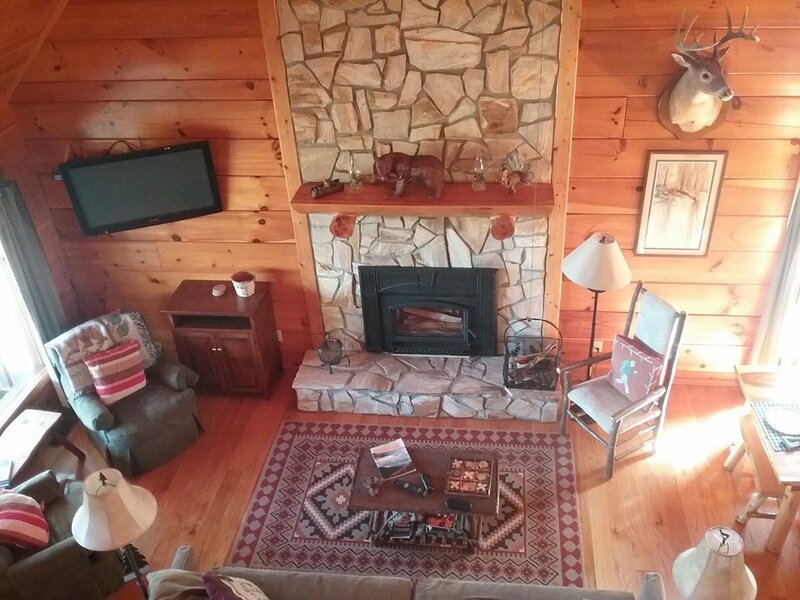 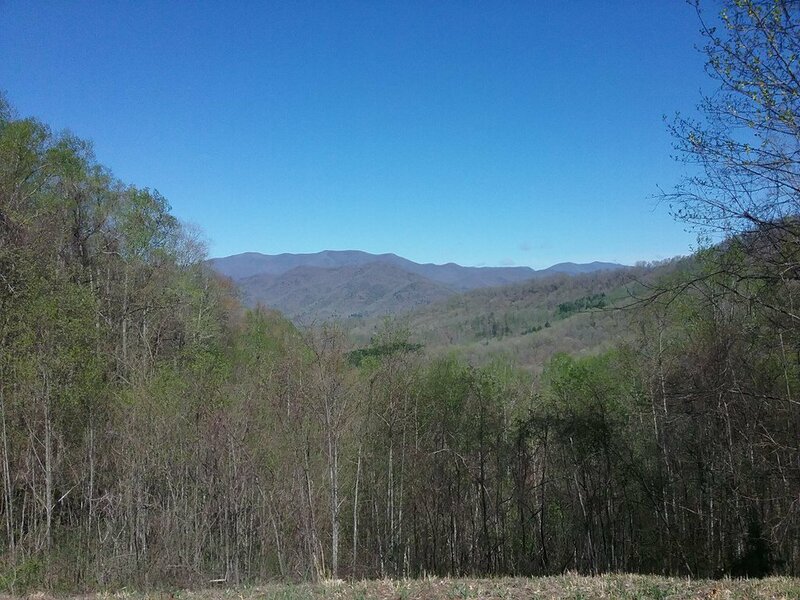 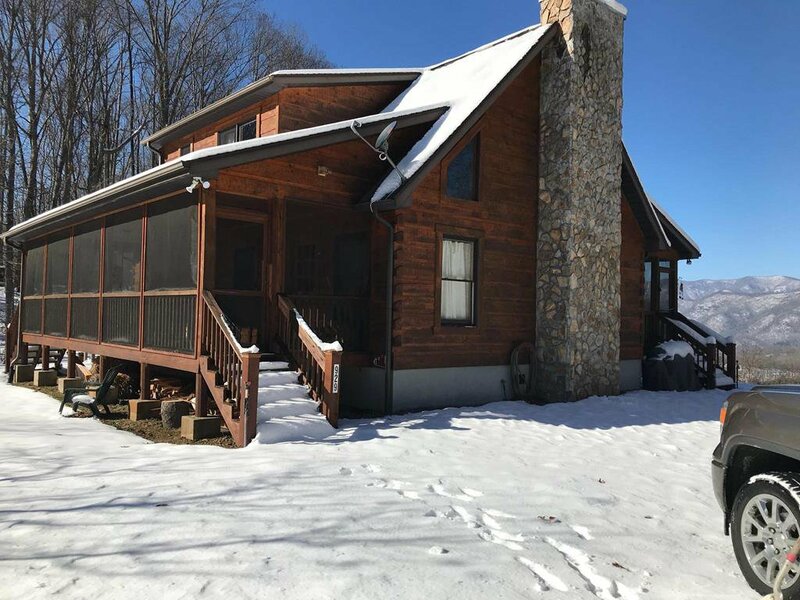 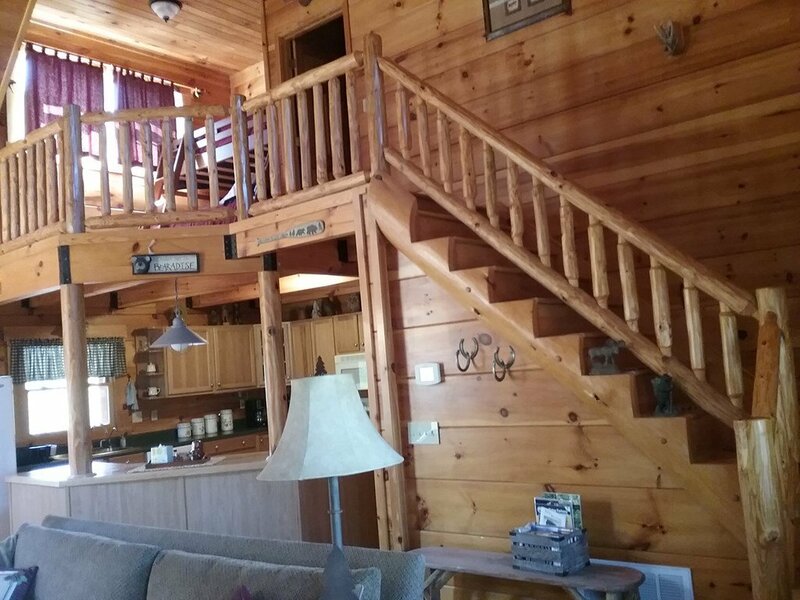 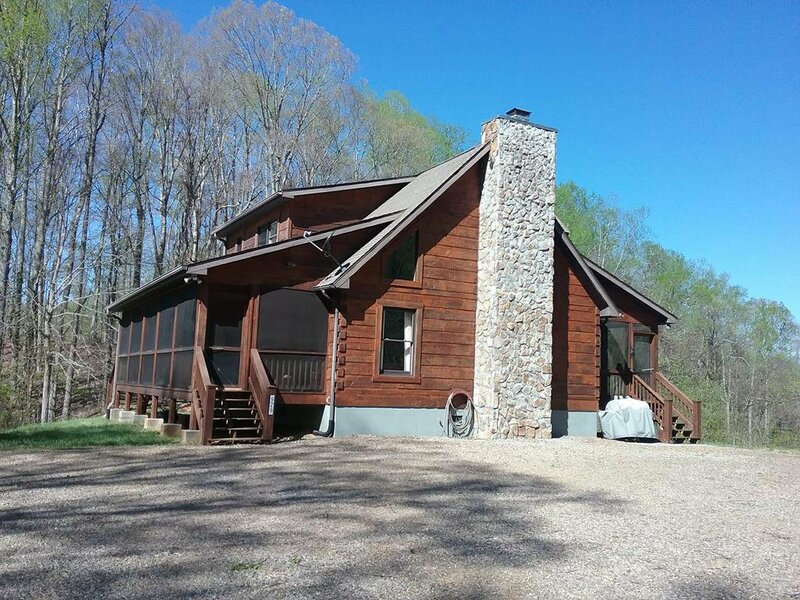 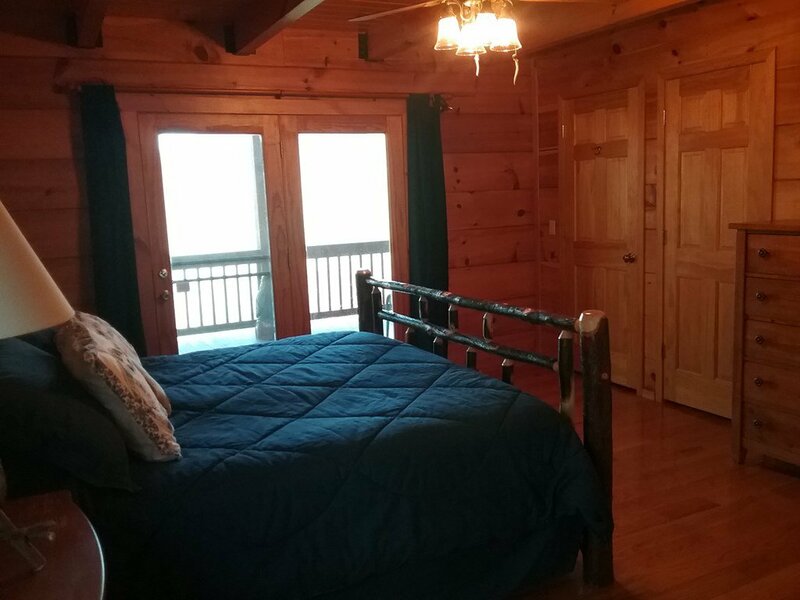 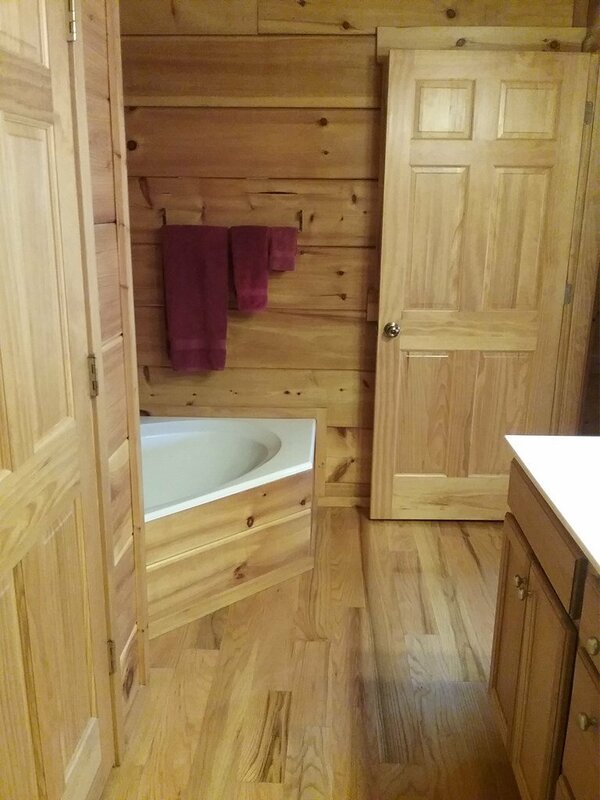 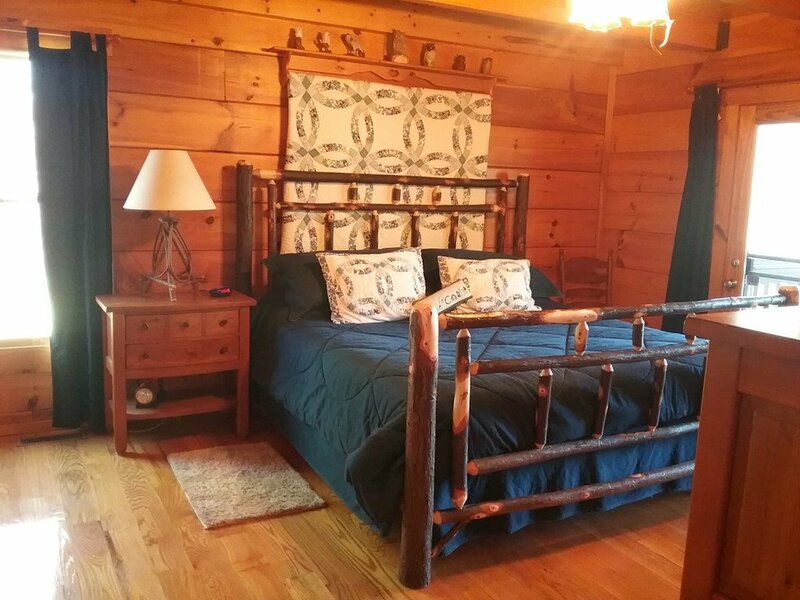 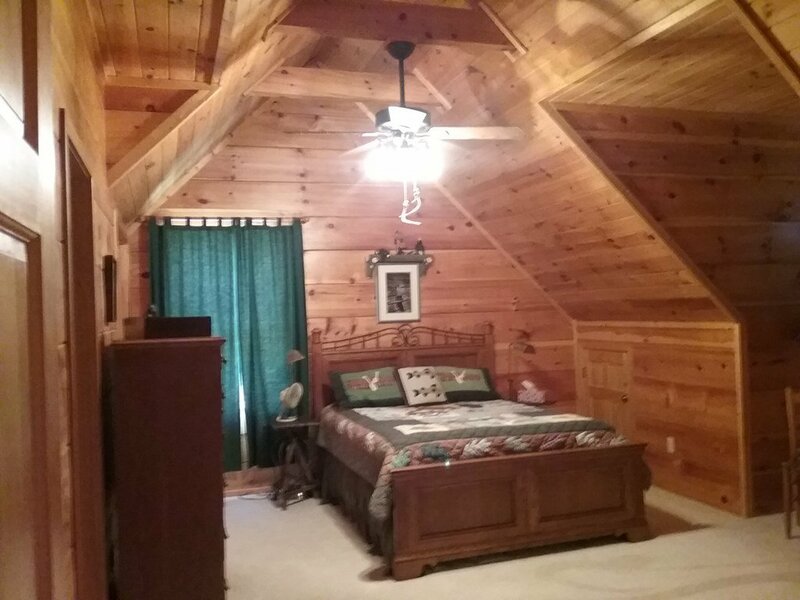 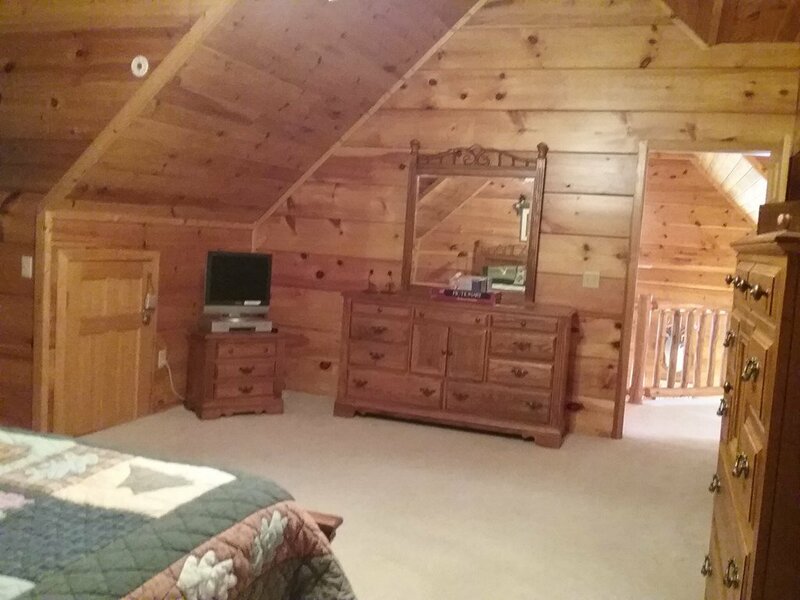 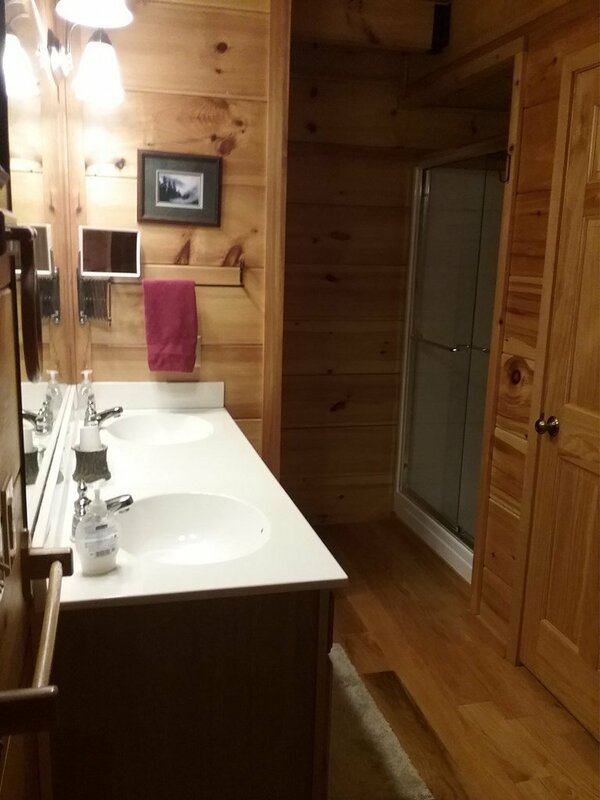 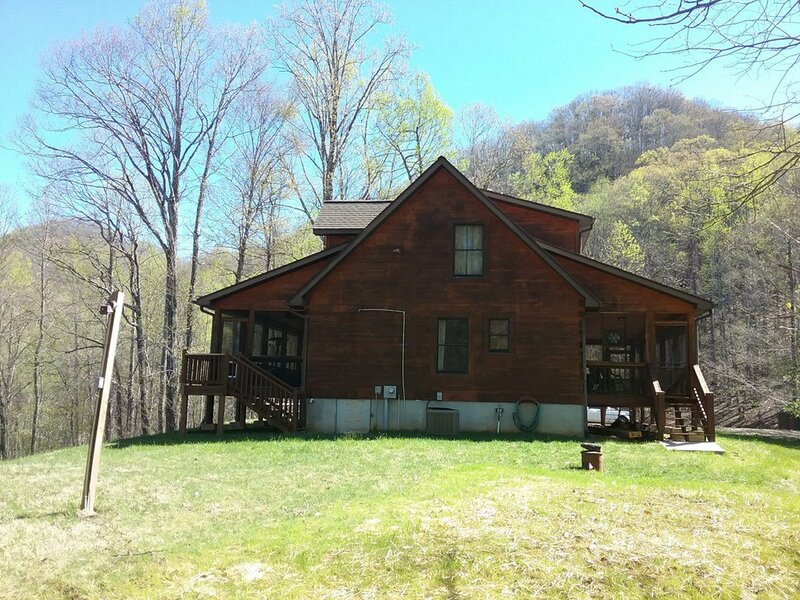 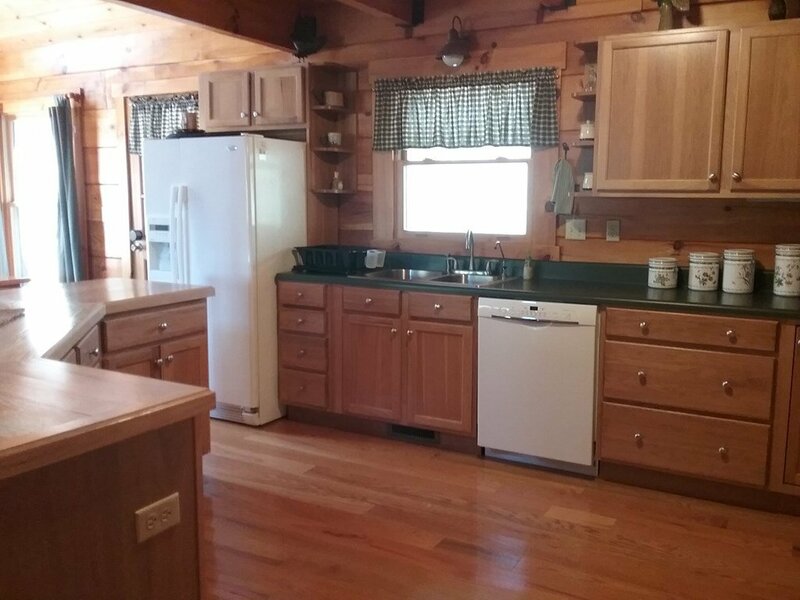 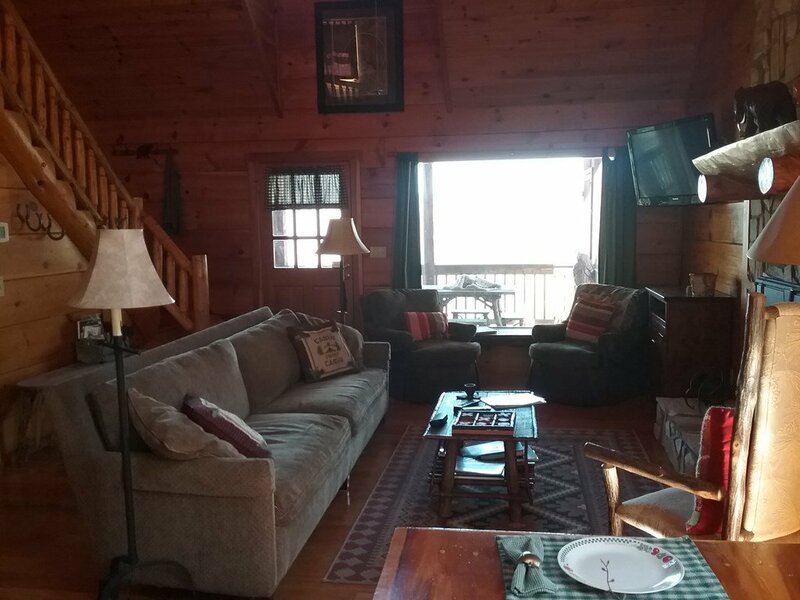 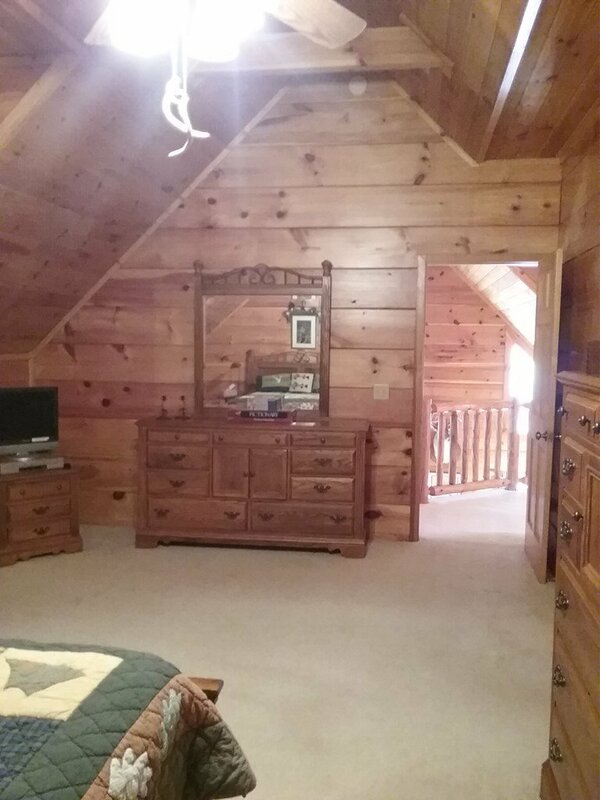 The cabin is meticulously maintained and comes fully furnished! 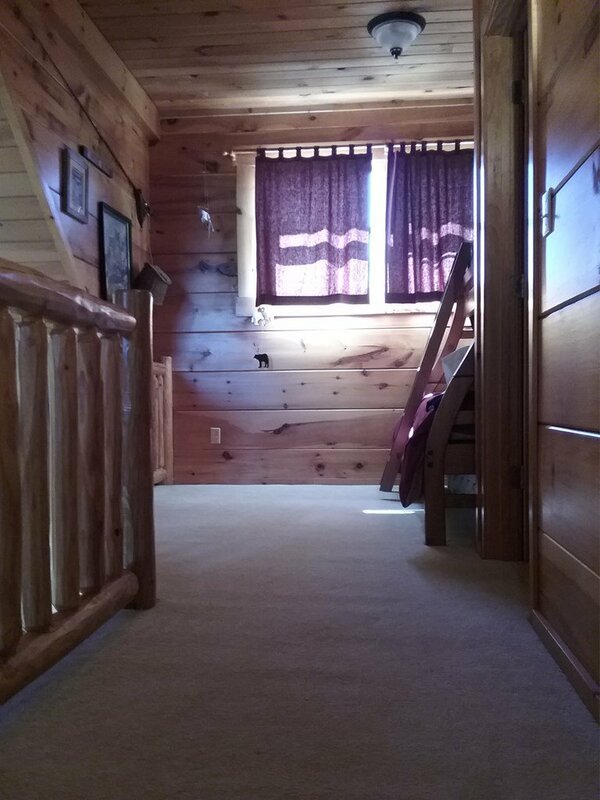 The interior includes post and beam construction with tongue and grove ceilings. 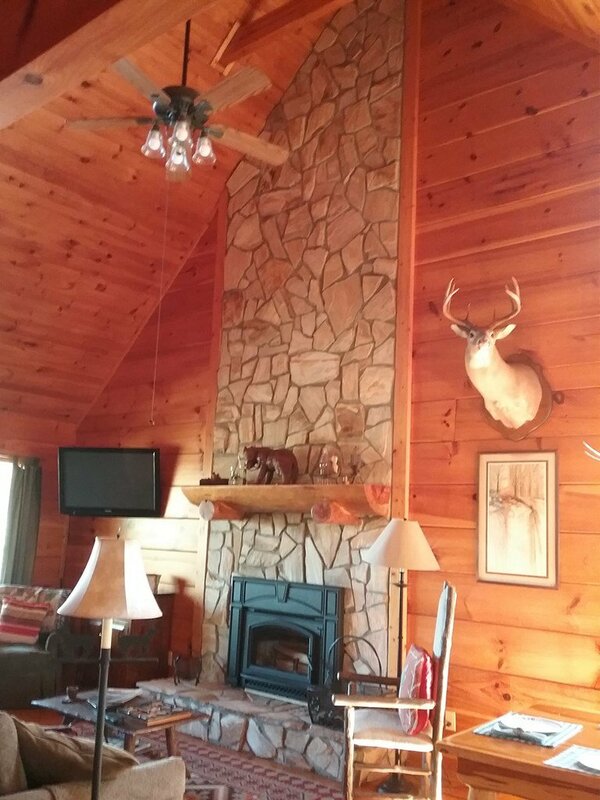 The fireplace is the centerpiece of the living room and is what anyone would envision and envy on a cold winter night. 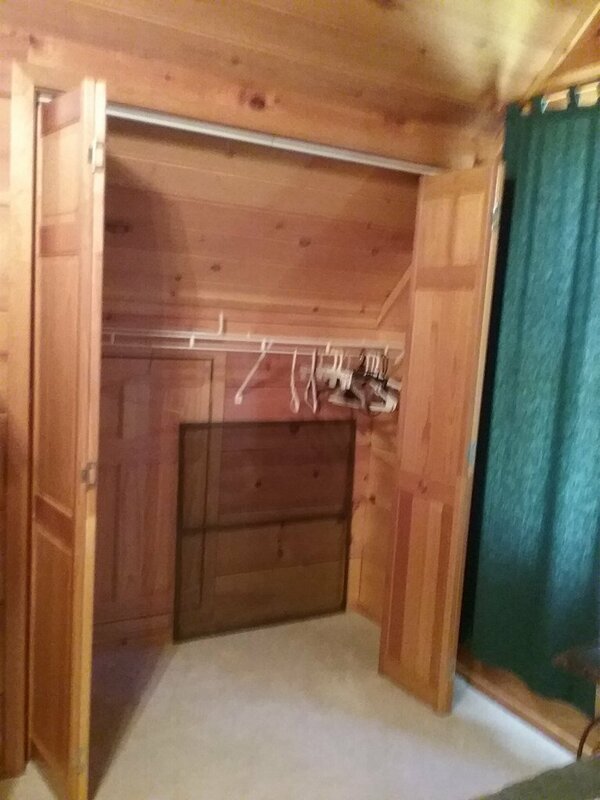 It has a high quality insert which puts out amazing and efficiant heat to keep everything cozy and warm. 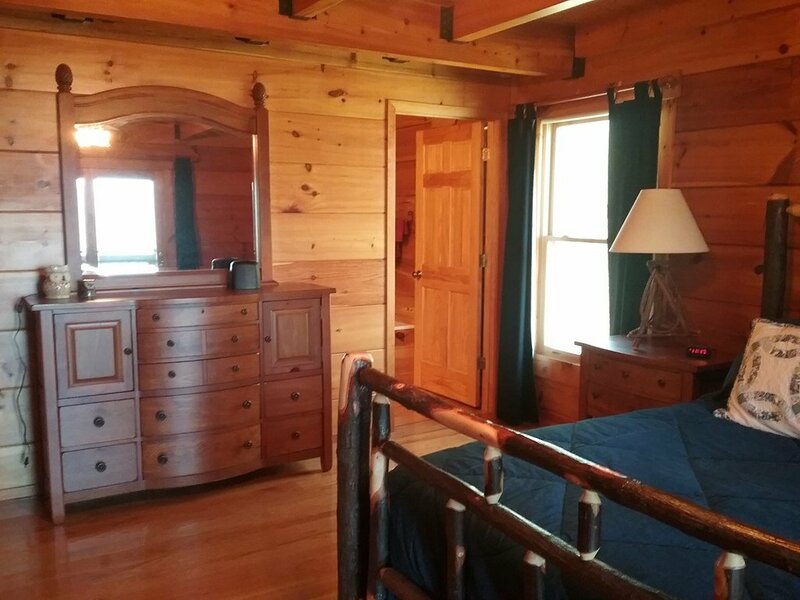 The master bedroom is on the main level with a large master bathroom with a garden tub. 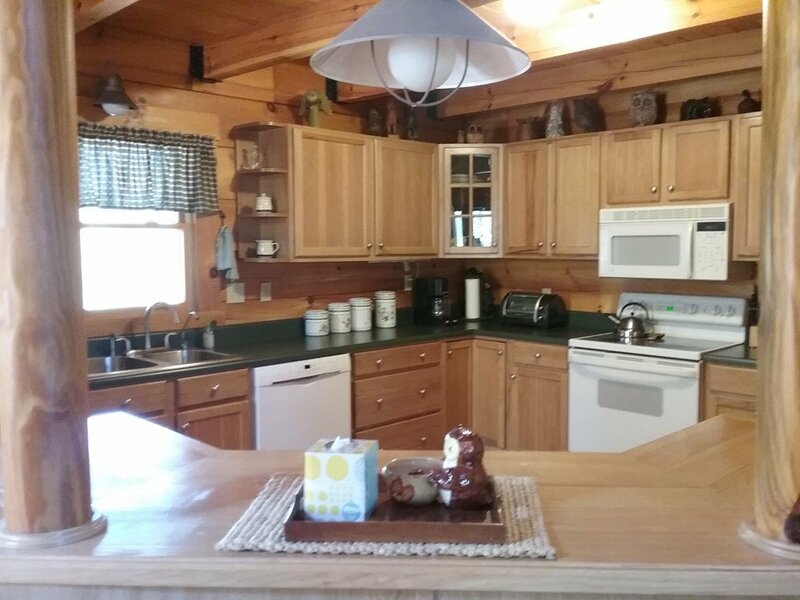 The kitchen is spacious and open to the dining area and the living room. 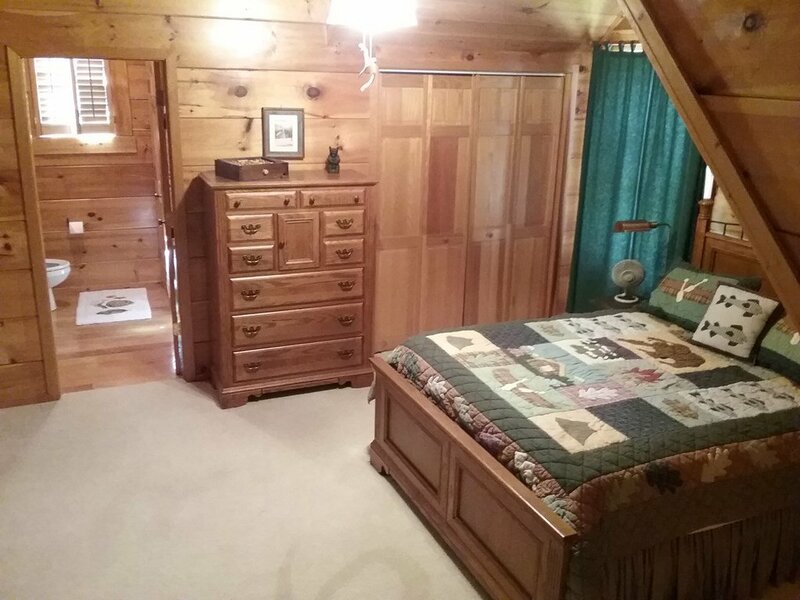 Upstairs has a large bedroom with a full bathroom. 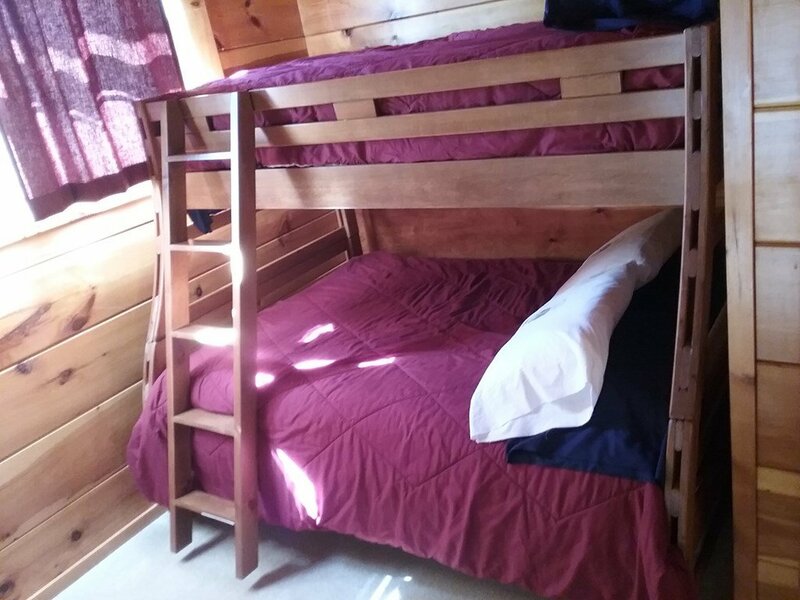 Outside of the bedroom is a loft area that has a bunk bed to sleep more people. 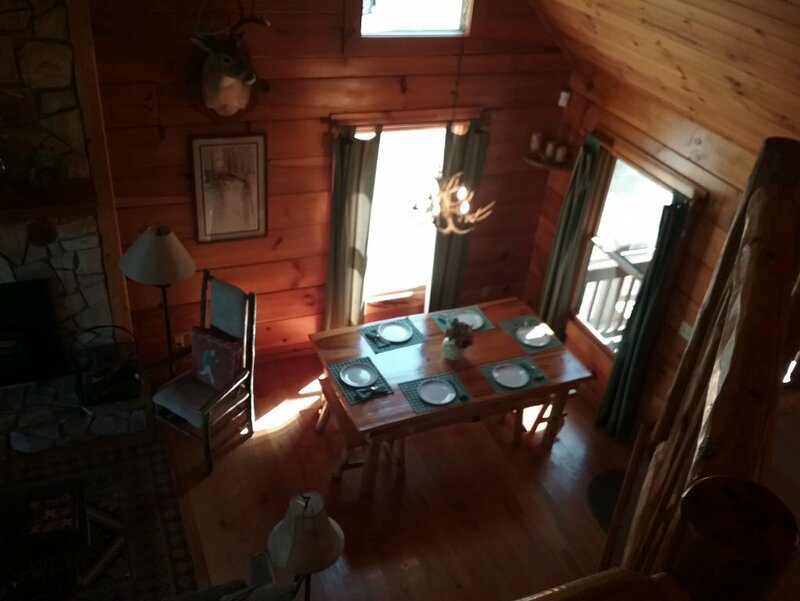 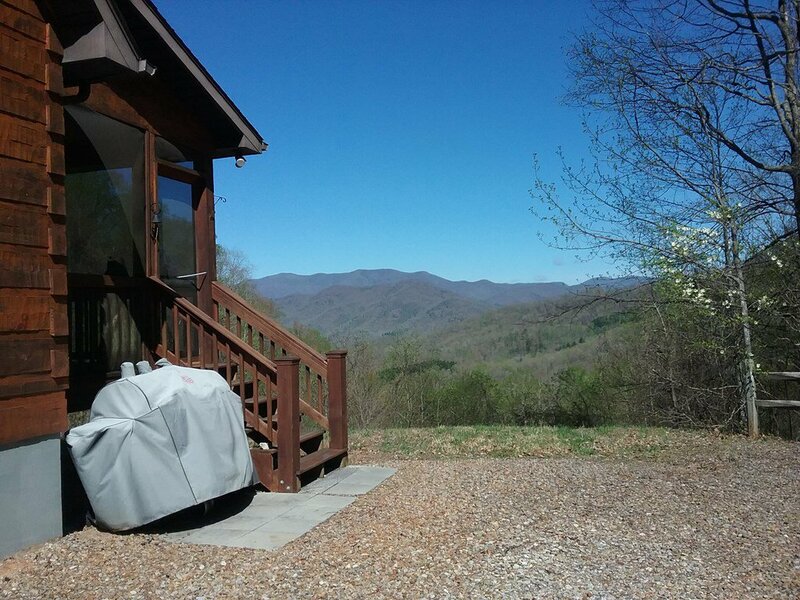 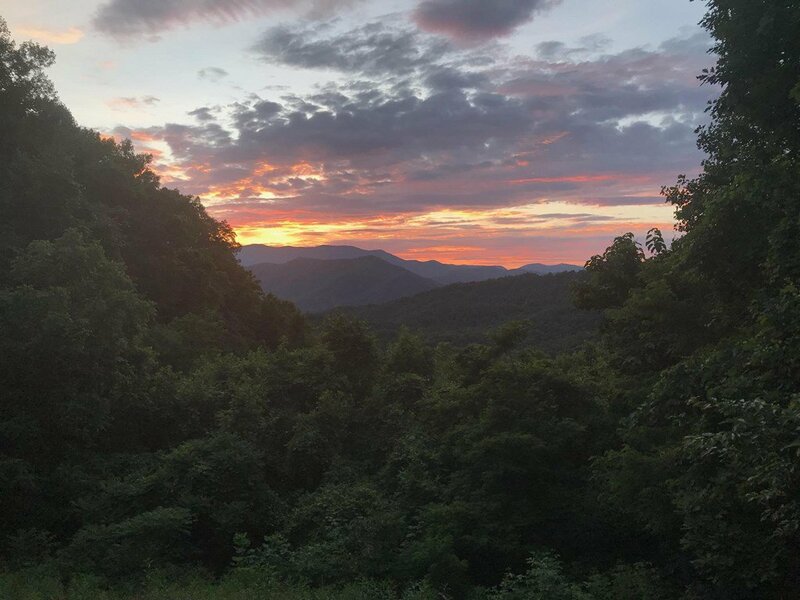 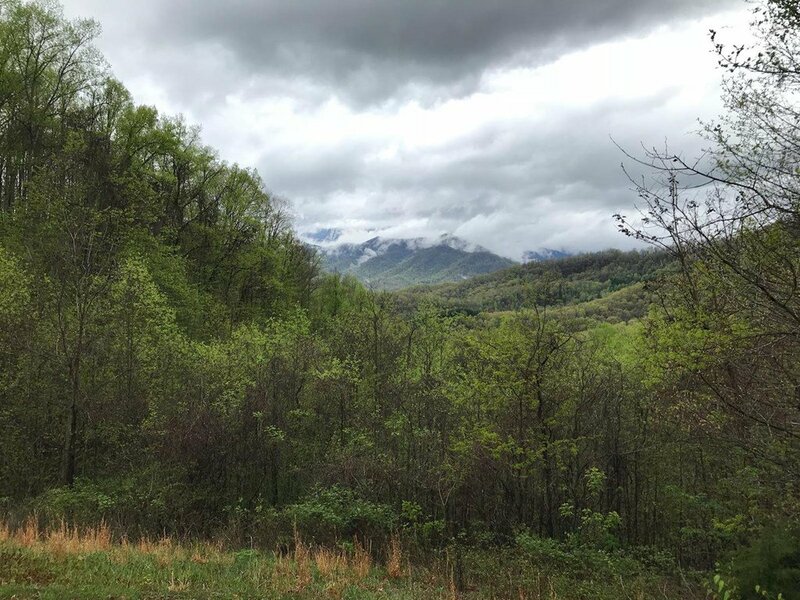 There are two screened in porches to enjoy the top of the mountain breeze that comes with living at over 2,700 feet of elevation. 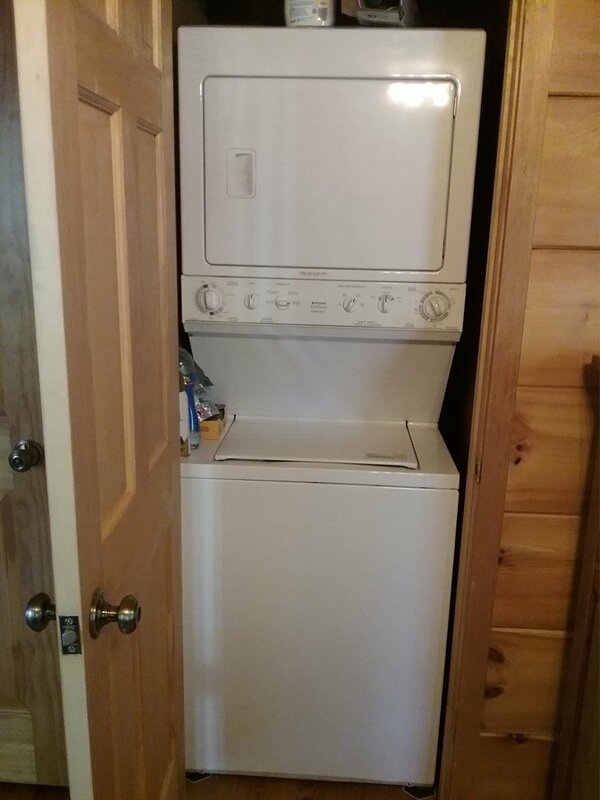 This house, unlike many other homes with long range views has plenty of flat level parking and a nice yard on the other side. 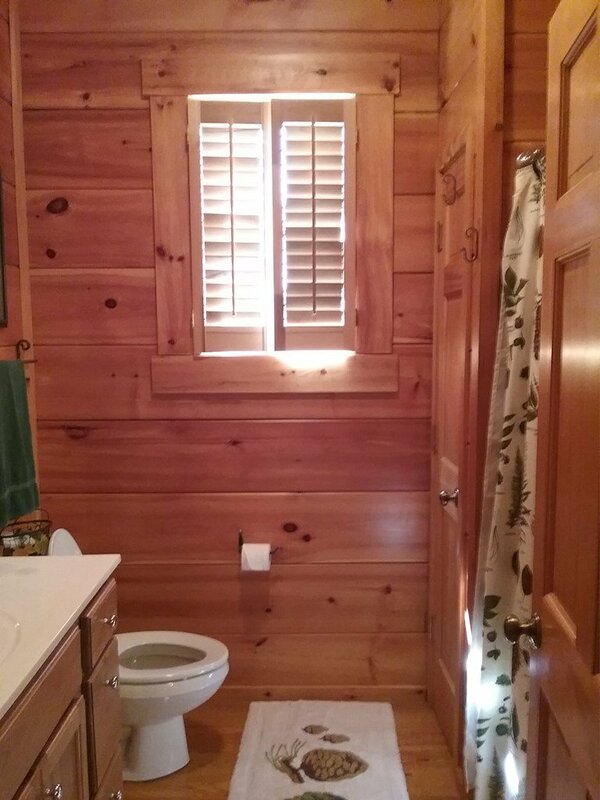 The photo's do not like about that!